This section presents free classified ads for Short term rentals for sale and to buy in Dublin. FREEADS in Ireland is a platform to post efficient advertisements or classifieds in Dublin. We help you find, buy, sell, rent or hire apartments, various goods for sale, local services offerings, cars, jobs and many more in Dublin. If you are not happy with ads you see on this page please use search box above to find other items for sale in category Short term rentals and location Dublin or select another category. 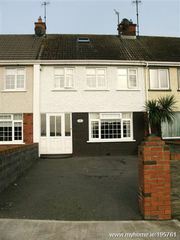 *** Sandymount Road Dublin 4 *** Available 21 Nov.. Short term on a monthly (1650) or weekly (475) basis. 1 Bed Flat. Newly refurbished. Rent incls waste charge, water charge, Internet access, SAT TV, central heating (timed) AND electricity. Linen pack supplied. Fully equipped kitchen. Parking is on street (disk required). Single or a double bedroom to let in house share. Well located in Beaumont, D9. Close to Beaumont hospital, DCU, Airport and city centre. Lots of bus routes close by and close to shops etc..
JULY & AUGUST SHORT-TERM HSE RENTAL LOUGHSHINNY, CO. DUBLIN 1, 100 P.M.
Four bedroom house available to rent for months of July and August. The property is within walking distance to the picturesque Loughshinny harbour and beach. Nearby amenities include all that the villages Skerries and Rush have to offer such as beaches, Ardgillan Castle, Skerries Mills, restaurants, pubs, coffee shops, , boutiques and shops. 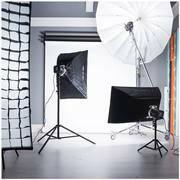 Two photography studio to rent at great price of €20 per hour. Spherical panorama of Studio at 57 Lower Gardiner Street Dublin http://bit.ly/1Wq3SEI Spherical panorama of Studio at 42, 43 Prussia Street Dublin http://bit.ly/1P3jT4z More about studios, pricing, equipment list etc 57 Lower Gardiner St: Dublin http://bit.ly/1RIStP3 42, 43 Prussia St: Dublin http://bit. valenciarooms.net private rooms valencia spain for day, week, month from only 10€ valenciarooms.net gives you the perfect answer for your stay in Valencia Our rooms situated in a beautiful and clean apartment with all the amenities of home It's situated on the first floor of a building with an elevator, but its location can't be beaten. 2/3 bed flat to let short term Ranelagh Dublin 6 . accommodation comprises of a small kitchen with new units, bathroom with new shower and wc , new carped throughout.bin charges and parking in secure garage included. 350 a week. flat to rent during EURO Football Championship 2012 The flat is located in the centre of Krakow, the Kazimierz district, at Plac Wolnica. The area is 60 sqm, divided into a big bedroom, living room and mezzanine space for 4-6 persons in total. The leaving room, equipped with an expandable corner settee, is connected to a fully fitted kitchen ( gas cook, refrigerator, cutlery & amp; crockery). Ireland free ads for Short term rentals, Dublin, Short term rentals free ads Dublin, Short term rentals for sale Dublin, Short term rentals to buy in Dublin. This page is a classified ads listing for Short term rentals Dublin. This listing includes classifieds for sale and to buy in Dublin. If you posted an advertisement on Short term rentals, Dublin before please use Edit my ads button to change or cancel your ad. Short term rentals Dublin ads Dublin, Short term rentals classifieds Dublin, Short term rentals free ads Dublin, ads for sale Dublin, ads to buy Dublin, FREEADS in Ireland. Find here ads for sale, to buy and rent in Dublin. Goods for sale in Dublin, vehicles for sale in Dublin, Dublin real estate for sale, Dublin property for sale, property for rent in Dublin, business ads in Dublin, Dublin business classifieds, services in Dublin, Dublin services ads, jobs in Dublin, pets for sale in Dublin, Dublin dating, Dublin cars for sale.